Beryl stone family is a versatile group of minerals. They include the beautiful and sought after emerald, the sea-blue aquamarine and lesser known gems such as heliodor, goshenite, morganite and the rare red beryl. Yet most are not pure beryl stone, which is colorless. It’s the tiny amounts of other elements that give these gems their rich colors. In this article, we are going to talk more about beryl’s origins, properties, and uses. Humans have appreciated the beauty of beryl stone for thousands of years. Even the Bible mentions emerald. The very name emerald can trace itself back to Middle English, back to Old French, back to Medieval Latin, Latin and then finally to the Greek smaragdos, which means green gem. The first eyeglasses had beryl lenses. Some historians believe they were first made in ancient Greece, while others believe they were made in 13th century Italy. Goshenite, which is colorless beryl, was named after Goshen, the town in Massachusetts where it was discovered. Morganite was named after the tycoon J.P. Morgan, an avid gem collector. The properties of red beryl or bixbite were described in 1904. Besides their color, the properties of emerald and other beryl gems differ slightly. Their chemical formula is Be3Al2(Si O3)6 and they have a hexagonal crystal system. The crystals can come in tiny grains, prisms or columns. They can radiate out from a central point, look like tiny tablets, or be compact and massive. Beryl stone has an imperfect cleavage, and when the stone is broken, the pieces have a shell-like, or conchoidal look. The beryl stone tends to be brittle, and emerald is more brittle than others. Their hardness on the Mohs scale is 7.5 to 8, and they are transparent to translucent. Their specific gravity is 2.76, and they generally don’t change color when viewed from different angles. Most do not fluoresce under ultraviolet light, though morganite gives off a weak, violet glow. People desire emerald for its spectacular green color, which ranges from a yellowish green to a lush, bluish-green. The green color depends on where the gem is found. Emeralds from Colombia have a bluish tinge, while stones from Africa are more grass-colored. This gem is more likely to have flaws and inclusions than other types of beryl, and a flawless emerald is very rare. Emeralds get their green color from chromium. Aquamarines are pale to medium blue, and even fairly large specimens can come without flaws. As with emerald, the more intense the color, the more expensive the gem. Heating aquamarine brings out the blue tones in the jewel and removes green tones. The blue of the aquamarine comes from iron ions. A very deep blue aquamarine is called a maxixe. Iron also causes the greenish yellow of the heliodor and the gold of the golden beryl, while pink morganite and red beryl get their colors from manganese. If these stones are irradiated by gamma rays or X-rays, their color can change to that of the maxixe aquamarine. Aquamarine imparts courage. It has a calm energy that soothes the mind, reduces stress and protects against pollutants. In ancient times, it neutralized the forces of darkness and brought favor from beings of light. Mariners used to carry aquamarine during their voyages to protect them from drowning. The birthstone of those born under the sign of Pisces, aquamarine is in tune to sensitive people and brings forth the tolerance of others. It supports someone who feels overwhelmed by their responsibilities by helping them take responsibility for themselves. Furthermore, aquamarine defeats old, useless paradigms and helps a person be persistent, dynamic and confident. This beryl stone also removes useless thoughts, clarifies a person’s perceptions, hones the intellect and removes confusion. It brings closure and clears blockages in communication. Aquamarine makes a person more sensitive while soothing their fears. Aquamarine promotes clairvoyance, meditation and higher states of consciousness. It clears the throat chakra and protects the wearer’s aura. Because of this, some use it to heal sore throats and swollen glands and balances the pituitary and thyroid glands. It stimulates the cleansing organs and helps with vision and digestion. It also regulates the immune system and prevents autoimmune diseases. Emerald is a stone of great patience and inspiration. It is life-affirming and brings domestic bliss, loyalty, and love. It keeps a relationship in balance, but if it changes color, it is a sign of unfaithfulness. Emerald opens the heart chakra and has a calming effect on emotions. 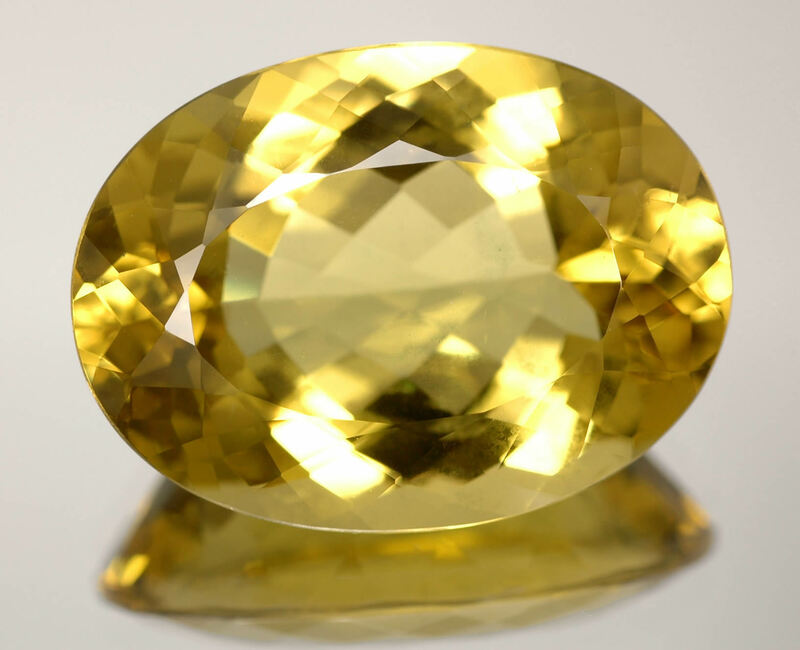 Golden beryl is the stone of seers and is used in magic. It helps with scrying and supports the purity of being. Morganite attracts love and helps it last. Red beryl opens the base chakras. 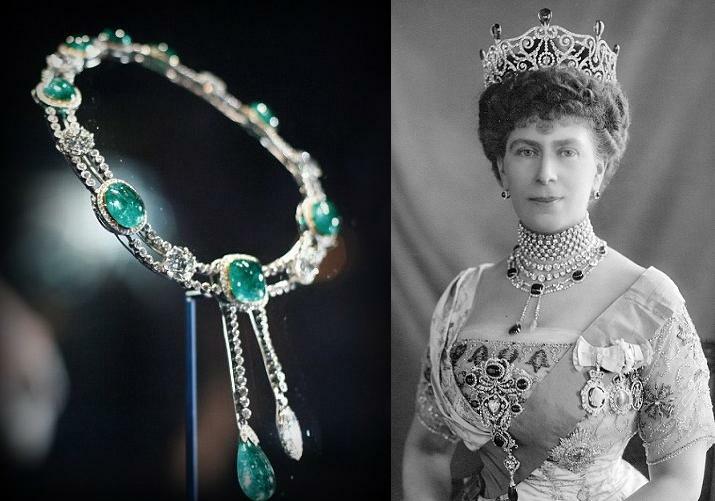 There are many examples of famous jewelry featuring a beryl stone. The Queen of England’s Cambridge and Delhi Durbar Parure features a pair of emerald earrings surrounded by diamonds, an emerald and diamond necklace, a crown made of diamonds and pear-shaped Indian emeralds and emerald and diamond brooches and rings. She also has a pair of aquamarine and diamond clips from Cartier. Chaumet has several examples of emerald jewelry, including a platinum and diamond necklace with a large emerald cabochon in the center. 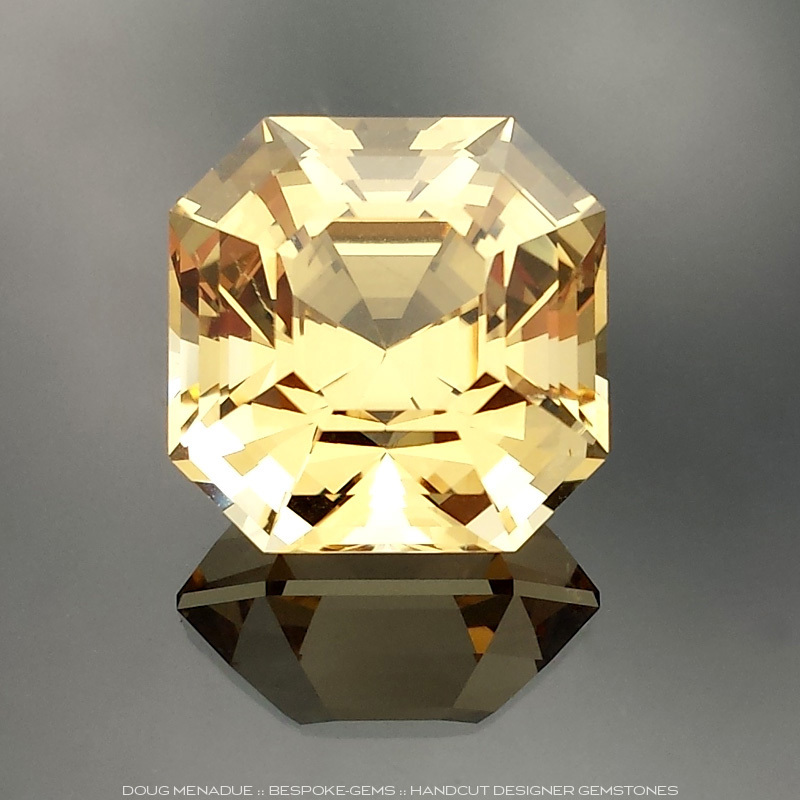 The Hall of Gems in Washington, D.C. has a 2054 carat golden beryl, which, despite its size, is flawless. The best emeralds are found in Colombia, India, Brazil, Zimbabwe, Zambia, Siberia, Pakistan and North Carolina. Aquamarine and other beryl stones can also be found in Brazil, Kenya, Namibia, Madagascar, Sri Lanka, Russia and the United States. Only diamonds and corundum surpass beryl when it comes to beauty and desirability. Emeralds need a bit of pampering. When owning a beryl stone, do not expose to great heat. Beryl stones are alluring minerals and bear up well when worn for special occasions. See for yourself! Hey Buddy!, I found this information for you: "Beryl Stone and the Remarkable Varieties Derived from It". Here is the website link: https://accessgems.com/beryl-stone/. Thank you.